Programs of resumes, bios, LinkedIn profiles and related items working in 1-4 interactive sessions. High impact documents that set you apart from the competition and get attention. Career & job search strategy and plans addressed in 1-5 sessions with savvy and insightful coach. Interviewing, offer evaluation/negotiation, and 3-6 month coaching programs available. You may contact them directly from our "Contact Us" page. I have recently accepted a Managing Director position at a major technology advisory services firm. This is a Partner-level position in the company, so it is the forward that you and I had discussed as my focus in my next role. I will be helping build a new service line within the firm focused on Enterprise Technology, Strategy, and Innovation. It’s a great opportunity for me and provides the type of leadership role I was looking for. I want to thank you for your help in not only recreating my resume but also helping me to think about how I present myself in a different manner. The resume got great reviews, and the table that you built with all my previous project experience generated multiple comments on how effective it was and how it showed my broad background. All the work we put in over the 2 sessions paid off and my resume really had a big impact on how I was received by recruiters. I had interviews with 8 different companies based on their review of my background with this new resume – so that speaks volumes to how effective it was. Thank you from one of your “graduates” for your help during the start of my process. Resume and Bio Services in person or by phone for executives including career management coaching nationwide. Resume services are provided by career coaches with deep business and resume writing expertise and recruiting experience. Our professional resume writers are known for their expertise in difficult or challenging resumes. Our professional resume & executive resume services help clients create high impact resumes that align with the market, set them apart from their peers, and show case their talents. Career Coaching services facilitate strategy and plans for lifetime career management, internal promotions, market visibility, and bios. Our career coaching guides clients in organizing and executing a job search, working with recruiters, and interviewing. Finding the right mentor and/or coach can be hugely helpful in accomplishing professional (or life) goals – it certainly has been for me! I’ve been incredibly fortunate to have Paula Asinof as a mentor since almost Day 1, and that has probably been the biggest influence on my success. I’ve learned from her about the resume writing side of things, but also about the running-a-business side. Without her, I would probably be nowhere near where I am today. 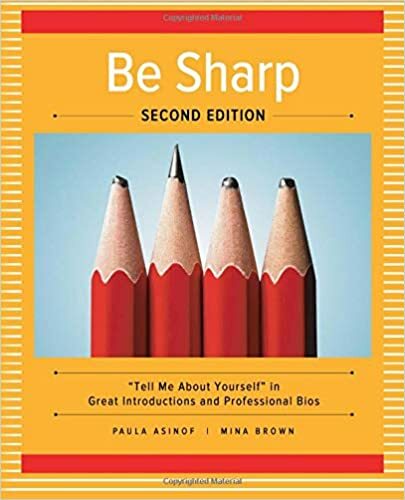 Another big influence on my professional life has been Mina Brown, Executive Coach, Author. I have had a few coaching sessions with her that really opened my eyes to the benefits of working with a professionally trained and highly skilled coach. Mina and Paula have always been willing to impart their brilliance, wisdom, and knowledge, and I couldn’t be more grateful. Professional Executive Resume Writing Services by Yellow Brick Path serving the following regions: Dallas, Ft. Worth, Plano, Carrollton, North Dallas, Arlington, McKinney, Allen, Frisco, Irving, and Richardson Texas – and nationwide.